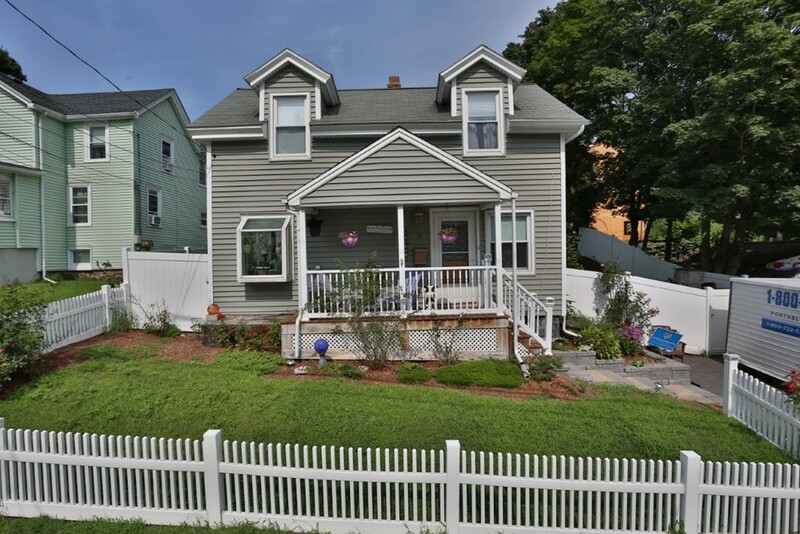 As you walk up to this lovely Colonial home you'll immediately want to relax on the front porch! Inside you'll find spacious rooms and a flexible floor plan that allows you to choose how to arrange the rooms depending on your lifestyle. Kitchen with stainless appliances opens to large room, which can be your living room as shown in photos or an open kitchen/dining room. A large bedroom and mudroom with laundry area complete the first floor. Two more generous bedrooms upstairs plus extra open area offers office or study space. Full bath with tub/shower combo. Deck surrounded by beautiful plantings overlooks the fenced yard which is ideal for pets and kids! Seller has made many improvements over the years including vinyl siding, roof, newer appliances, boiler & oil tank in 2010. Mitsubishi mini-split installed in May 2017 cools the whole first floor! Great location near the center of town, Horn Pond and major routes for commuting. This is the one you've been hoping to find! dryer have been removed from property.